The bass baritone has won the YMF Australia Award, with prizes going to Anna Dowsley, Eva Kong and Andrew Moran. 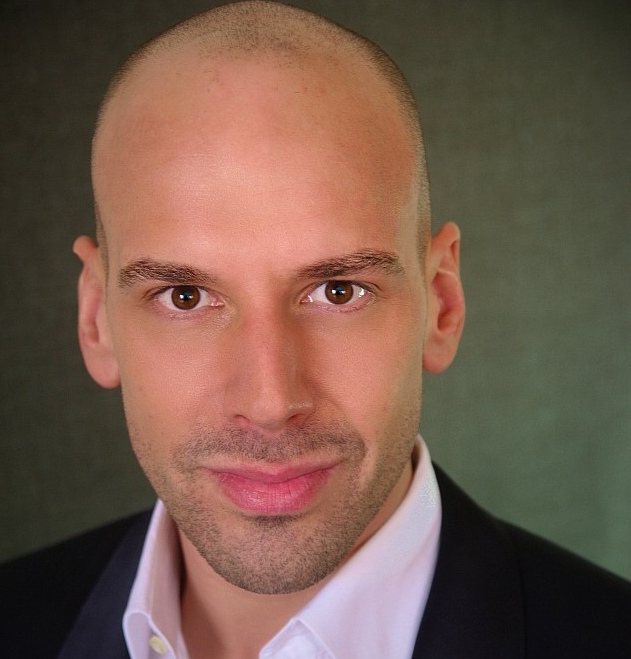 Bass baritone Adrian Tamburini has won the 2017 Opera Awards, taking home the YMF Australia Award worth $30,000 and the Armstrong-Martin Scholarship worth $4,500. Previous winners include Nicole Car, Jonathan Abernethy, Lorina Gore, Shane Lawrencev and José Carbo among others. The Opera Awards are open to professional Australian opera singers wishing to further their studies or careers overseas. Entrants must have performed at least two principal roles with a recognised professional opera company in the two years prior to judging. Each entrant is required to perform from their own selection of four arias and be interviewed about their proposed singing activities and/or study plan. The 2017 Opera Awards took place on February 20 at the Australian Chamber Orchestra Studios, where entrants were auditioned and interviewed by a distinguished panel of adjudicators, which this year included musician and artist Dr Di Bresciani OAM, tenor Anson Austin OAM, soprano Cheryl Barker AO and maestro Simon Kenway. Mezzo soprano Anna Dowsley was awarded the Britten-Pears Prize: an opportunity to participate in the Strauss Lieder & Arias course with Angelika Kirchschlager and Malcolm Martineau in the UK as well as a scholarship to cover the fees for the course, accommodation, lunches on teaching days and a contribution towards her airfare. Soprano Eva Kong received the 4MBS Classic FM Award, which involves a chance to perform in the 4MBS Festival of Classics – Australia’s largest classical music festival, held annually at venues in Brisbane and around south-east Queensland. Baritone Andrew Moran won the Glyndebourne Festival Prize: an opportunity to audition for the Glyndebourne Festival Opera as well as to attend staged rehearsals. Tamburini, who has been singing since the age of five when he joined the Victorian Boys Choir, has enjoyed a varied career as an operatic soloist for Opera Australia, Melbourne Opera and West Australian Opera, on television for Woolworths Carols in the Domain, and as a musical director and producer. In 2016, he sang Pietro in Simon Boccanegra, The Cook in The Love for Three Oranges and The Maestro in The Eighth Wonder for Opera Australia. In 2017, he appears in OA productions of Tosca, Carmen – Handa Opera on Sydney Harbour, La Traviata and La Bohème. He will also sing the title role in OA’s touring production of The Marriage of Figaro. In September, he performs with the Zelman Memorial Symphony Orchestra and a 200-voice male choir in Shostakovich’s Symphony No 13, Babi Yar in Melbourne. Yevgeny Yevtushenko’s famous poem, Babi Yar, exposed the massacres of over 110,00 people by the Nazis and their collaborators at Babi Yar, near Kiev, during the Second World War. Shostakovich set this poem to music in his 13th Symphony, which will be performed as the centrepiece of a concert commemorating the 75th anniversary of the horrendous events. The Australian composer’s acclaimed opera has won best World Premiere. “Art destroys silence”: Shostakovich’s powerful condemnation of anti-Semitism is as relevant as ever. Walker will perform Kats-Chernin’s Night and Now in a concert commemorating the victims of the Babi Yar massacres. It’s 75 years since the Russian massacre and 55 years since Shostakovich commemorated it in a symphony. 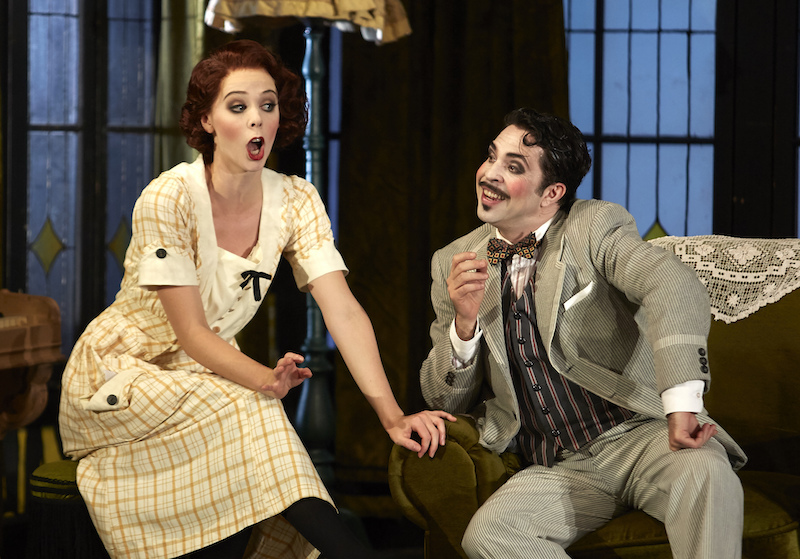 A pleasing revival of a French operatic bijou that skilfully confronts eros with agape.